Dalbeattie was established in the 1790s as a planned town beside the water-power of the Dalbeattie Burn and thrived on granite that was extracted from local quarries and exported across the country. The town makes an ideal base for exploring the Colvend Coast and the region’s castles and gardens. Around Dalbeattie there are plenty of country walks and great opportunities for golfing, fishing and mountain biking, with the internationally famous 7stanes Mountain Bike Trail in Dalbeattie Forest. Dalbeattie’s best-known historical figure is Lt William McMaster Murdoch who was First Officer aboard the 'Titanic' and played an active - and controversial - role in the great ship's last moments. Today, Dalbeattie has many independent shops and great places to eat out. VisitScotland / Paul Tomkins, all rights reserved. 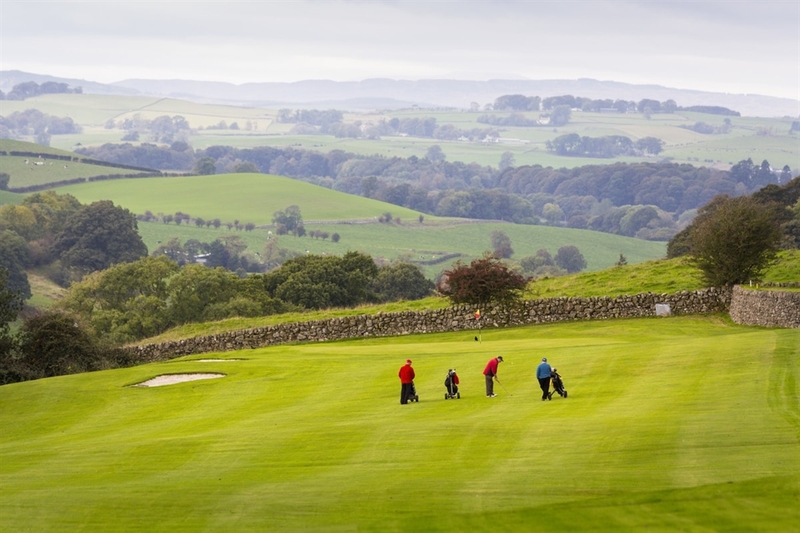 Golfers at Dalbeattie Golf Club, with a tricky bunker at the end of the fairway, and the green rolling landscape of Dumfries and Galloway beyond. VisitScotland / Paul Tomkins, all rights reserved. Golfers at Dalbeattie Golf Club, with a tricky bunker at the end of the fairway, and the green rolling landscape of Dumfries and Galloway beyond. VisitScotland / Paul Tomkins, all rights reserved. 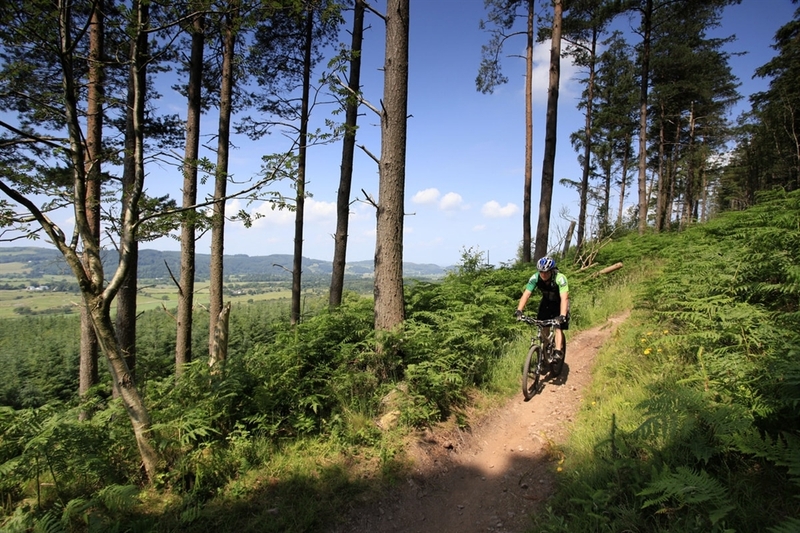 A mountain biker descends a narrow, tree-lined path in Dalbeattie Forest, with blue skies a and a fabulous view through the trees to the hills beyond.